The WHO Programme for Prevention of Deafness and Hearing Impairment (PDH) is especially targeted at developing countries where there is a serious lack of accurate population-based data on the prevalence and causes of deafness and hearing impairment, including noise-induced hearing loss. However, opportunities exist for prevention of noise­induced hearing loss by primary, secondary and tertiary means and it is necessary for countries to measure the size of the problem and adopt strategies for its prevention. The World Health Assembly has passed two resolutions in relation to PDH, in 1985 and 1995. They affirmed that much deafness and hearing impairment is avoidable or remediable and that the greatest needs for the problem are in developing countries. The 1995 resolution estimated that there are 120 million persons with disabling hearing difficulties worldwide and urged member states to set up National Programmes for the prevention of deafness and hearing impairment, with the technical assistance of WHO. WHO-PDH addresses problems in this field of major public health importance which are amenable to intervention, giving priority to the poorest developing countries. These problems include ototoxicity, chronic otitis media, noise damage to hearing, inherited and congenital causes, and the provision of appropriate affordable hearing aid services. A fundamental requirement for the development of a National Plan and choice of preventive strategy for a National Programme is accurate, population-based data on the prevalence and causes of the problem. The PDH programme has developed a standardised Ear Disease Assessment Protocol to enable countries to conduct national surveys rapidly. A National Programme will require a set of integrated strategies to prevent deafness and hearing impairment. The PDH programme has already addressed two such causes, ototoxic drugs and chronic otitis media and will shortly produce guidelines for implementation of these strategies within the context of primary health care. The most recent meeting organised by the PDH programme at WHO, in the series on strategies for prevention, was on the prevention of noise-induced hearing loss, held in Geneva in October 1997. The participants concluded that exposure to excessive noise is the major avoidable cause of permanent hearing impairment worldwide. Noise-induced hearing loss is the most prevalent irreversible industrial disease, and the biggest compensatable occupational hazard. In developing countries, occupational noise and urban, environmental noise are increasing risk factors for hearing impairment. The meeting recommended that all countries should implement National Programmes for the Prevention of noise-induced hearing loss, integrated with Primary Health Care, and including elements on health promotion, and measures to reduce noise sources and introduce legislation and effective hearing conservation. There is an urgent need to obtain more, accurate epidemiological data on the problem, especially in developing countries. More research is needed on basic mechanisms and means of prevention. Hearing loss induced by noise, as well as in combination with other environmental factors, is a significant health problem throughout the world. Although most structures in the inner ear can be harmed by excessive sound exposure, the sensory cells are the most vulnerable. Damage to the stereocilia bundle is often the first structural alteration noted. Once a large number of hair cells are lost, the nerve fibres to that region also degenerate resulting in an irreversible hearing loss. At present, the underlying mechanism for cochlear damage induced by noise is not fully understood. The failure of the adult peripheral auditory system to regenerate after injury is a major clinical problem. However, a number of experimental applications have recently become available and are effective in reducing the damaging effects of noise. 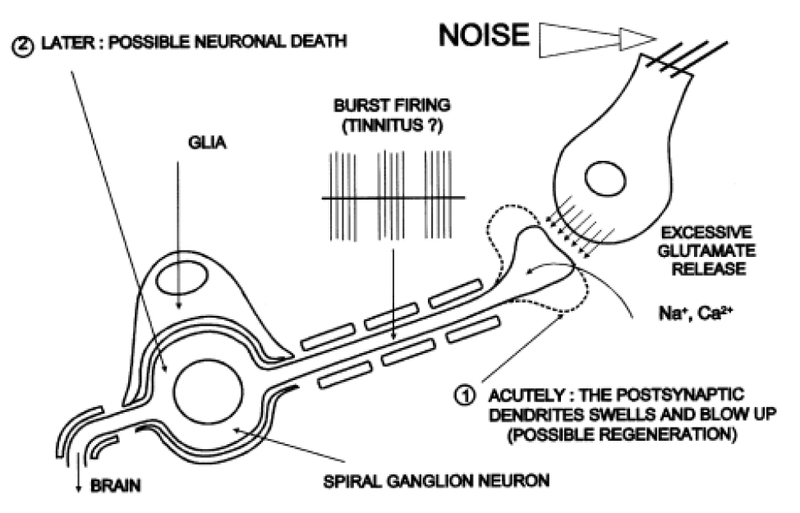 Current experimental designs include strategies for protecting against injury and are primarily based on the fact that the metabolic state of the cochlea can determine the overall degree of hearing loss induced by noise. The purpose of the present article is to review the current literature dealing with strategies for protecting against noise trauma. 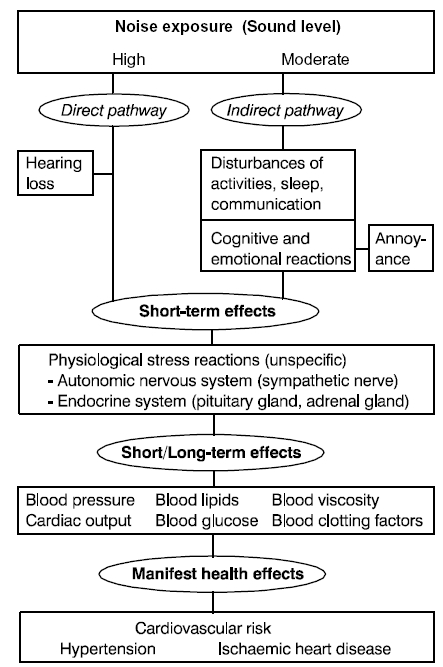 Reviews of epidemiological studies of cardiovascular effects of occupational noise have been published regularly in the literature. The first part of this paper summarizes the conclusions which have been drawn. The second part focuses in more detail on the results of studies in which noise exposure was not assessed by objective measurements, but on the basis of subjec­tive ratings as given by the study subjects in a questionnaire. 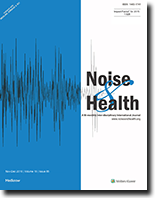 Finally, the paper addresses some issues of occupational noise studies which deserve special attention from the methodological and conceptual point of view. These are concerned with study design, statistical inference, selection and confounding bias, overcontrolling, effect modification and exposure misclassifi­cation. In our study of the Hearing in Young Adults (HIYA) aged 18-25 years, there appeared to be little effect of social noise on hearing thresholds (Smith et al. 1998). There was however, a threefold increase in the reports of tinnitus in those subjects with significant social noise exposure (≥ 97 dB NIL). No other abnormality was found of hearing function for those who were exposed to the most social noise. In an attempt to investigate this further we invited a sub-sample of those tested in the earlier phase of the study, to conduct further examinations of their hearing function. The three groups eventually consisted of those in the most social noise group who reported tinnitus (n=15) and those who did not (n=15), plus a group of people who had no social noise exposure but who reported tinnitus (n=8). All the groups were retested for their hearing thresholds, using standard audiometry and also the Audioscan technique to look for notches in the audiogram. Speech tests were carried out using an adaptive FAAF test. Transient-evoked oto-acoustic emissions were measured and also suppressed with a contralateral broad-band noise. Some evidence has been found to suggest that those young people who reported tinnitus are affected by social noise exposure, in terms of pure tone thresholds, speech tests, oto-acoustic emissions and reported hearing problems. Lessons can be drawn from our attempt to follow up this interesting population. First, the population is highly mobile and follow-up is difficult. Second, the presumed noise exposure was often not appropriate because even after a year it was possible for several individuals with insignificant social noise to move into the group with significant social noise exposure. Third, there is a need for a larger multi-centre study to look at the effect of social noise in more detail using a common protocol. The results of our study will be very useful in calculating the numbers needed in such a multi-centre study. The contribution of noise exposure to fatigue at work was studied in a survey study and three field studies. The survey study was based on a questionnaire covering symptoms and work place exposure answered by 50 000 state employees. Noise exposure was also estimated from their type of job and self-rated noise exposure. Fatigue and headache were found to be more common among the noise exposed groups even after control for the effects of other critical variables. 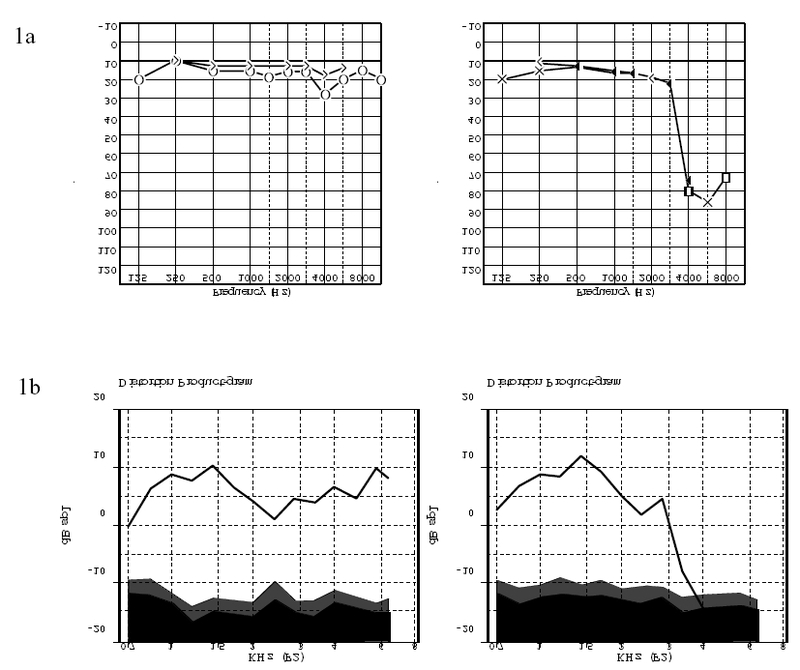 Study 2 compared reaction times before and after a week's work in high noise exposure and one in low exposure exposure in a group of aeroplane mechanics. 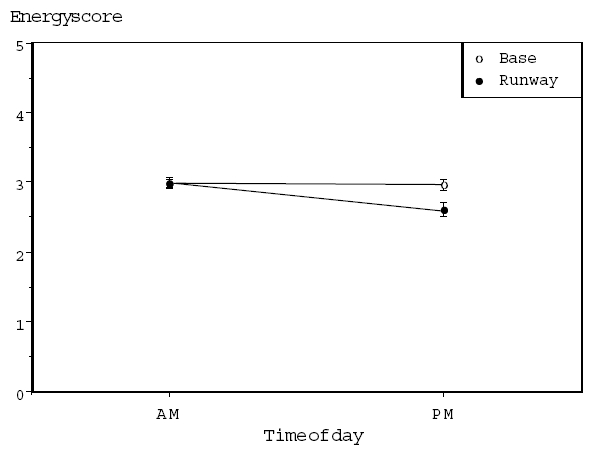 Reaction times were prolonged after work in the noise week, whereas an opposite trend was seen in the control week. Study 3 showed a gradual increase of reaction times during a week of noise exposure in a group of aeroplane technicians. Study 4 compared reaction times and subjective fatigue among naval crews on a day with low and a day with high noise exposure. In one of the studied boat types the development of fatigue during the work day was accentuated on the day with high exposure. Acute acoustic traumas are caused by exposure to extremely high noise levels ranging from milliseconds to several hours' duration. In pure tone audiometry they range from the C5 dip to basomediocochlear sensorineural hearing loss. Their pathogenesis is assumed to consist of micromechanical-traumatic and biochemical-metabolic damage to the outer hair cells. In order to establish the changes to the DPOAE (distortion products of otoacoustic emissions), 17 patients were examined after sustaining acute acoustic trauma. The causes included firework explosions, anti-tank rocket launchers, vehicle tyre bursting, rock concerts, hand-gun shots, sub-machine gun fire, hand grenade explosion, exploding car battery. The pure tone audiogram, tympanogram, tinnitus maskability and DPOAE (both DP-gram and growth rate in various frequencies) were determined in all patients. If the event had occurred some time ago, measurements were taken only once; in acute cases measurements were repeated at different times. In nine patients with persistent hearing impairment, clear DPs were found in the unaffected frequencies but were completely absent in the affected frequency range. Four of these patients were unilaterally and two patients were bilaterally affected; three patients had a different (not noise-induced) hearing loss on the opposite side. In eight patients with regressive hearing loss, DPs were by contrast detectable throughout the entire frequency range, their amplitudes only rising slightly as hearing recovered. Of these eight patients, three were unilaterally and five bilaterally affected. DPOAE seem to indicate the likelihood of recovery of hearing threshold after an acute acoustic trauma. In cases with DPs completely absent in the affected frequency range, the prognosis seems to be much worse than in cases with present DPs in the frequency range of hearing. Active noise reduction is a successful addition to passive eardefenders for improvement of the sound attenuation at low frequencies. Assessment methods are discussed, focused on subjective and objective attenuation measurements, stability, and on high noise level applications. Active noise reduction systems are suitable for integration with an intercom. 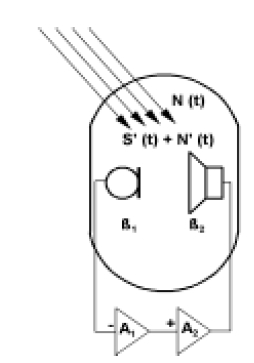 For this purpose the intelligibility in combination with environmental noise is evaluated. Development of a system includes the acoustical design, the feedback amplifier, and the speech input facility. An exam­ple of such a development is discussed. Finally the performance of some commercial systems and a laboratory prototype are compared.